Public safety and environmental protection are paramount in all facets of our company including design, construction, and the safe operation of our pipelines and company assets. We work with qualified personnel to ensure compliance with federal, state and company safety standards and specifications. 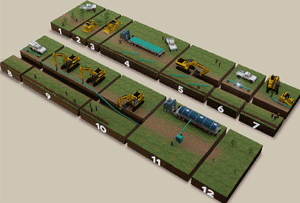 We do this through the implementation of solid management practices, inspection and oversight which is outlined in the "Building Pipelines" and "Operating Pipelines" diagrams below. Life safety is always the number one priority when responding to any pipeline emergency. We maintain and develop relationships with local response organizations through drills, liaison meetings and other interactions which are designed to promote open communications and enhance our unified efforts in the event of a pipeline emergency. 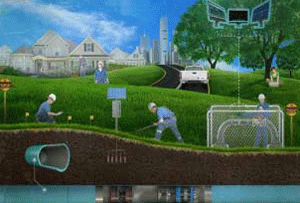 Enterprise personnel continuously monitor the pipeline system to prevent damage and identify potential problems. Personnel are highly trained and prepared to respond to pipeline emergencies. 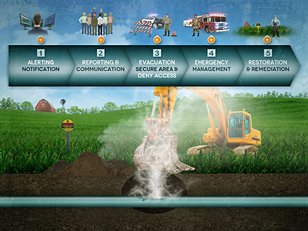 The "Responding to Emergencies" diagram below provides a high-level overview of the internal efforts that take place when responding to an emergency along one of our pipelines or company assets.